Doing my goals weekly seems to be working out, I did not get a perfect record this week but I have decided to give this a test run for the coming month. I feel better about the shorter time frame and I am ready to go at it again. Check out my last set of goals here, these are my successes and failures. · Take vitamin daily. Success! I took my multi-vitamin and vitamin A daily. · Drink 60 oz of water daily. Failure. I did up my water intake, usually I forget; yes I forget to drink water unless I am out in the sun. · No snack for six days. Success! My daughter helped a lot with this, she even stuck to her plan of “testing” me, I did not even use my cheat day. · Exercise at least twice for the week. Success! 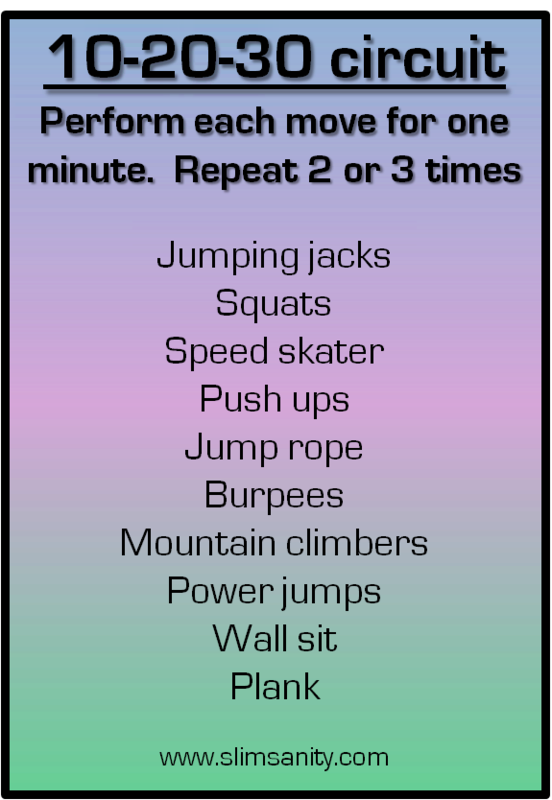 I did two out of the three, they don't look like much but they give a total body workout in a very short time, you should give it a try. Leaving the third one for Saturday was a mistake, for me weekends and workouts don’t go hand in hand. · Take my multi-vitamin daily. · Plan my meals for the week. · Drink at least 60 oz of water daily. · No snacks or sweets for six days this week, I have one cheat day. · Exercise at least twice for this week. I will be doing the home workout shown below and a spin class this week; I have a free class pass so I am going to use it. My goals this week are not much different from last week, as goals become habit I will no longer include them. I want to end my stretch but I am yet to receive my relaxer so I if by Tuesday I don’t receive it I will buy two kits at the pharmacy to do my touch-up. This stretch is doing more harm than good so I don’t expect much; for the entire month of June my hair got little TLC which resulted in breakage. Most of the broken hairs were more than 1 ½ inch long, I did a hard protein this month which helped but I am still seeing more breakage than I would like. What do you think of weekly goals instead of monthly ones? I feel you on the monthly goals, that's why I'm trying the weekly ones and trying not to do too much at a time. I am posting these mainly to keep myself accountable, it helps especially when it comes to things like putting yourself on a ban. I think monthly goals, and break them down to weekly goals so you can check and check again!! :) well done on ticking off your weekly goals!! Well done on achieving so much success, especially, the vitamins- I envy you lol! !